Every item you purchase online at the store benefits our school! Order the latest in Tiger and WG logo t-shirts and sweatshirts. Approved as part of the uniform, students may wear them to school in place of collared shirts, EVERY DAY! 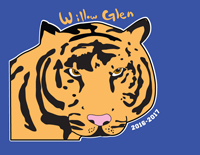 The Tiger design changes every year, when one talented student wins the logo design contest. 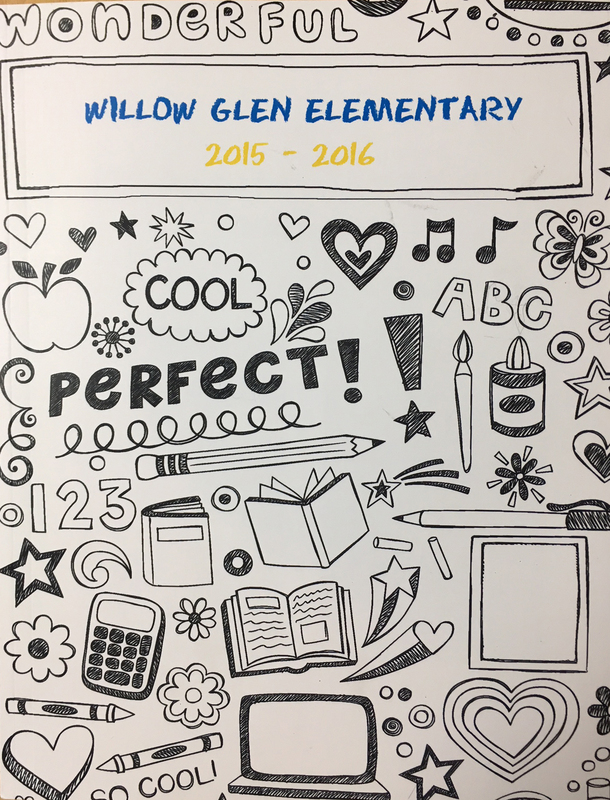 Many products are available with the classic Willow Glen logo, which make great gifts for friends. FOR CLASSROOM DELIVERY: Please change your shipping address and enter your student’s name for your shipping name, and their teacher’s name for the shipping address! 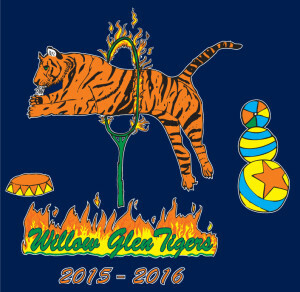 Order by the Ice Cream Social to guarantee your size and selection of this year’s Tiger design! Hats, Fitted T-Shirts, Mugs and more! Full front design on NAVY T-Shirt. Designed by 6th grader Lena Chavez. 2018-19 TIGER – YOUTH Sweatshirts w/ Hood and Full Zipper – NAVY, with the logo on the left chest. Designed by 6th grader Lena Chavez. 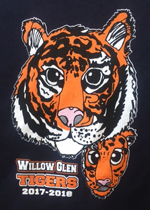 2018-19 TIGER – ADULT Sweatshirts w/ Hood and Full Zipper – NAVY, with the logo on the left chest. Designed by 6th grader Lena Chavez. YOUTH WG Sweatshirts w/ Hood and Full Zipper – NAVY, with the logo on the left chest. 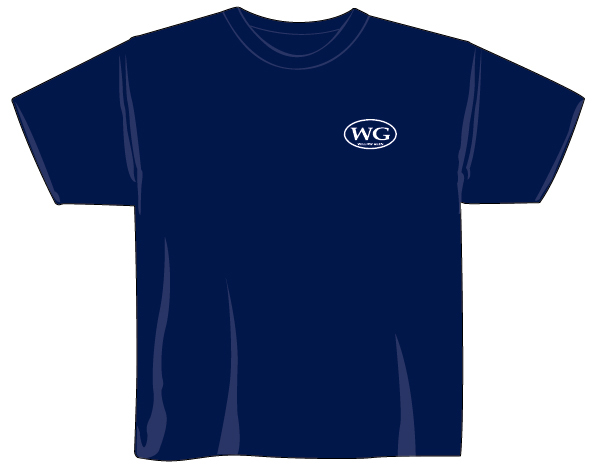 ADULT WG Sweatshirts w/ Hood and Full Zipper – NAVY, with the logo on the left chest. VINTAGE T-SHIRTS (only $5) and SWEATSHIRTS (only $15)! Order online from Better Yearbooks. 2017 Yearbook available from publisher. 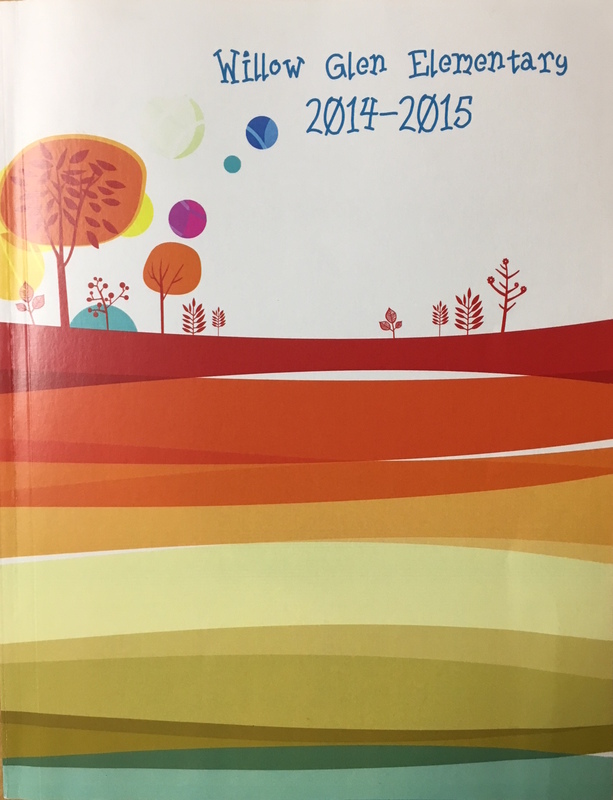 Yearbooks for 2007-2010 and 2015-2016 available below. 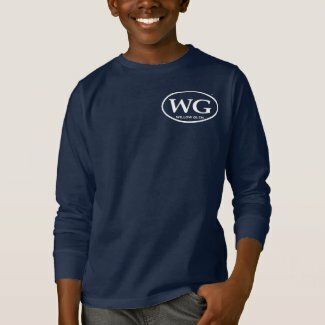 Click below to purchase additional WG items from the WGEPTA Zazzle Store!